10 Marketers weigh-in on whether big data is useful or harmful. There is much talk today about “Big Data. The availability of a massive amount of consumer data that can help marketers make their efforts more precise and with pinpoint targetability. The healthcare industry has certainly been a player in the use of all the data that is now available. Despite HIPPA regulations there is an enormous amount of data that hospitals and healthcare organizations collect and can access. When combined with state medical information and demographic tendencies, healthcare marketers have invaluable information at their fingertips. And there are now several very large companies who work specifically with healthcare companies to help collect and mine the data and then use it to create very targeted messages to consumers. But a debate rages among advertising and marketing professionals about the advantages, opportunities, disadvantages and liabilities of “big data.” Recently Jami Oetting writing for the Agency Post (agncypost.com) collected viewpoints from 10 very experienced and respected marketers concerning “big data.” Here are their comments. At some point, we’ll be able to tell unequivocally whether somebody who saw a message was more compelled to make a purchase than somebody who didn’t. That’s the ultimate goal of most advertising, so it’s hard to argue that having concrete causation data is a bad thing. It’s the real-time nature of the data that can lead to rash decisions. Nobody measures a car commercial’s effectiveness by the number of people who saw the ad, got off the couch and drove to the dealership within ten seconds of seeing it. People don’t behave that way. Yet, lots of digital advertising is measured and optimized against this exact type of behavior. We need to practice a bit more patience and realize that there’s a non-interacting majority out there that might enjoy and look forward to a brand’s messaging but don’t feel the need to like, share or retweet it. There are plenty of things in the world that we enjoy without telling anyone. I’m dog-sitting for my best friend, and I’ve just returned from an emergency trip to the vet. Panic-stricken, I bundled Dolly onto the table in the surgery room, and the vet sat and checked her over. I love Dolly, so when the vet told me her temperature and heart rate were normal, I felt pretty darn grateful for those little bits of data. Data is a very useful tool; it can help steer and guide decision-making. It measures our progress and success. It helps us make constant improvements. It can reassure us everything is heading in the right direction. My concern kicks in when slavish reliance on data occurs, when it becomes the be-all and end-all in strategic and creative development. This is dangerous in a world where a lot of data isn’t necessarily that accurate and certain stats can be invested with undue importance. A few years ago, it was all about the number of Facebook likes, and now the latest thinking debunks this in favor of deeper tools like sentiment tracking. The integrity and intelligence behind the data needs to be actively questioned. I’m a fan of good data. I’m also a fan of gut instinct. When the two are combined, insight and creativity can be set free rather than hemmed in. If data is our only tool, it’s unlikely we’ll transform a category or move people to do something, whether that is voting in an election or buying a certain brand of washing powder. Painting by numbers will give you a competent picture, but people will know it’s not an original Picasso. We must not fool ourselves into thinking the subjective business of creativity can be put through some sort of rational filter in order to manage our risk and make us less fearful. Data should be respected, but before we bow down before it we need to think – how was this measured and was it worth measuring in the first place? We are making steady progress toward the state where “more is not always better.” When do we reach too big of data? What are you going to do with even bigger data if you are not already seeing clear benefit from the data you already have? The solution to data blindness is not to track more data or to buy some industrial strength data management tools. The solution is to align strategy and creativity with the data that matters. Understanding the difference between key performance indicators and performance indicators is important in the big data conversation. A KPI is an action that is tied to ROI (something that can be tested and optimized). A PI is just that — some indicator of performance that can be measured. Just because you can measure it does not mean you should pay attention to it. A clear focus on the right data can already prove the effectiveness of the broader marketing strategy, not just the advertising. (Who has a chief advertising officer for a client anyway?) Raw data must turn into brand-driving insights. No tool can do that. Only deep experience and innovative, creative human minds can truly see the signal in the noise. Sure, big data can turn into incremental media spend efficiency or a more precisely targeted direct response campaign, but the real challenge is to turn the right data into the big ideas that disrupt entire business categories. The industry must be careful to focus on what matters in our growing obsession with data. Trade the obsession for dashboards and reports for a passion for client results. This is all about fear and how fear stifles creativity, innovation and progression (in all things). People in a recession are scared, and they don’t have the confidence to try new things that may have turned their businesses around. Big data is a rubbish name. It sounds like Big Brother and the inference in this question is that extreme measurement and identification stifle creativity. So, let’s call it smart data. As we emerge into a more confident economy (from a culture of fear), having reassurance in the effectiveness of what they do will give brand owners the confidence to test, learn and innovate more. And that’s what we’re all about. So why should data be at the heart of everything we do? Because it will unleash the creative industry, not hurt it. Big data has become a grossly overused term — overused enough for it to be banned from industry events I’ve attended. The reason everyone is fed up with hearing the term “big data” is because it’s a bit like the term “advertising.” It covers so much ground that, really, it’s no longer useful. If you were asked to write about the state of the advertising industry, you’d have to cover a variety of topics including old media and new, creative, research and reporting, social and mobile, agencies and client-specific trends. Although there are some trends that run through all of these topics, the most interesting information is found by being specific. So is the case with big data. Everyone has some part of their company that they would like to improve. And no matter what that is — purchasing, selling, accounting, marketing or investor relations — big data is here to help. You can now not only see the trends, but also the parts that make up the trends all the way down to individual events. And often we find that what we thought was a simple trend is made up of more interesting separate parts. For example, an uptick in sales in a geographic region may hide a downtrend in sales among a demographic. But big data can help you see through it all and create separate strategies for each component part. 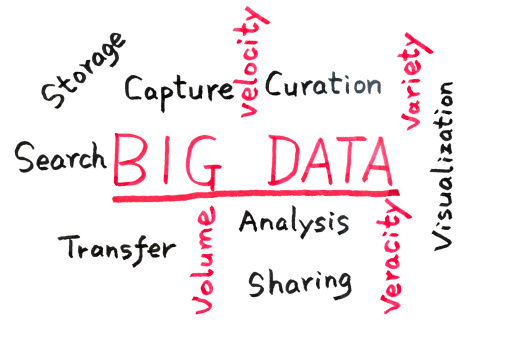 There is no doubt that big data will help all marketing campaigns become more effective. But deciding what to focus on and then applying the right tools will separate the winners from the frustrated participants. We see data impacting advertising in two areas: efficiency of delivery and effectiveness of experience. We use data to drive the right experience to the right user, at the right time and in the right place. Rather than just retargeting the same user 30 times after visiting a site, this means integrating customer profile data with third party data to deliver a more rewarding experience. Our use of sophisticated segmentation systems provides users the same experience across all touchpoints — from desktop and mobile to apps and advertising. We’ve had this data and personalization capability for some time, but what’s changed is how we merge users’ site personalization with ad targeting and customer data to optimize a desired action (e.g., reduced call center volume). This is a departure from traditional marketing where you might test creative among a small audience and optimize media based on clicks. In this method, the question about ROI was: Does my marketing work? Now, the question is: How do I manage marketing on an ongoing basis, maximizing the right KPIs and providing the best experience for my most valuable users? We believe data shifts the onus of the industry from proving value to making effectiveness an ongoing process: we create, test, refine and repeat; we keep learning as our users keep evolving. What’s hurting the industry is a focus on short-term results and immediate financial return versus the long-term impact, which can ultimately stifle innovation. We know click generation and cluttering pages with upsell opportunities will generate some sales, but it can also damage a brand’s relationship with the user. Like everything else, marketing data must be used in moderation. Most importantly, marketers have to determine which key performance indicators are most relevant to the long-term success of their businesses. Clients will often use data to prove that campaigns are effective to drive an upper-funnel metric-like awareness or consideration. Sometimes it’s not possible (or easy) to connect media spend farther down the funnel to actual purchase or, better yet, lifetime value. The challenge is that it is easy to get focused on an upper-funnel metric and actually get good at efficiently driving customer engagements, but we have to be sure we know to what end. With the amount of data available to brands today, those who do not effectively use it will fall behind quickly. The best practice for big data: Use common sense and only place confidence in those measurements that have a proven connection to business growth. All the talk about big data and what it means for agencies can be frightening, but the obsession with big data can also be intoxicating. Agencies now have the ability to effectively measure a campaign’s success and target the audience that brands want to attract by using hard-nosed data and numbers. The litmus test of a successful big data company includes the ability to keep cost of acquisition, process and curation of data relatively low. Before, ad-tech companies used legacy technology stacks for data storage, processing and visualization, which slowed the pace of technology innovation and drove the cost of doing business higher. But big data companies have now figured out a cheaper way to acquire more data, so every interaction a user has with a brand will be curated and more relevant. If applied correctly, this will be a consistent feedback loop that will change the nature of advertising as we know it. I think that, with anything in life, expecting perfection on day one can lead to disappointment and can hurt our industry. Rationalizing and predicting human behavior with some level of probability is quite complex, but we will find a way to use technologies to solve this problem. This will take time, team effort and multiple technological iterations to get it right if it all. But, it’s an intoxicating problem that’s worth solving. Big data is more than a buzzword surrounding our business. Our industry has made significant strides in its ability to gather, measure and analyze information in order to precisely target and reach audiences. We now have the capability to tap into this intricate realm of analytics that can be used to understand, track and predict consumer behaviors and preferences. And from there, we are better able to strategically place our creative messages in the right channel at the most receptive moment and in front of the right set of eyes. These are invaluable insights for the world of advertising. But are we using this data to its utmost potential? As an industry, we are becoming a bit “obsessed” with the opportunity that comes with data collecting tools and techniques. New pressures to effectively hone in and reach people based on their attitudes, needs and desires is front and center. Marketers remain focused on the real goal: to entertain and engage. That leads to true effectiveness and ROI. Advertisers and marketers still have a ways to go in terms of making the most of this powerful resource. Fortunately, they are already on the fast track. We are working to utilize data in an innovative way by conducting a survey with the help of PwC to track and measure the industry’s progress toward promoting greater diversity. And as we approach the 50th anniversary of the International ANDY awards in 2014, industry leaders will have the opportunity to come together to not only celebrate creativity, but also explore how to strategically bring the innovative use of data and analytics into the mix in the next 50 years of advertising. The future lies in mastering the right combination of strategically placed ads and engaging and connecting with consumers through these messages and content. Only then will the ‘buzzy’ concept of big data truly prove its relevancy in advertising. 10. Amy Lanigan, Vice President of Client Strategy | Fluid, Inc.
Data and ROI metrics will ultimately make advertising accountable, which is fantastic. In digital commerce, it’s essential. Smart use of data is digital’s ace in the hole. The wealth of digital data holds endless insights and ideas. It commands we set up success metrics. Its constant stream is a chance for ongoing testing, optimization and iteration. That said, ‘big data’ can be bad. Bad like big government, Big Brother (in the book and on TV), Big Gulps and the Big Dig in Boston — overwhelming, intimidating and debilitating. Similar to endless excel spreadsheets and brainstorms constrained by metrics, measuring everything rarely helps anyone. The two ‘bigs’ worth keeping? The big picture and the big ideas. The big picture keeps us out of the weeds and focused on goals. We get to mine the data whys and what-ifs. And the best big ideas have a foundation in data-driven insights — even the bold, crazy, go-for-it ones. If data is our only obsession, it hurts us. Luckily, we’re a multiple-obsession industry — groundbreaking creative, innovation, intuitive experiences, conversion, client satisfaction, etc. You name it, and there’s someone up at night at an agency thinking about it. If we partner with our clients early on to define which data matters most and how we should measure success, our obsession can be positive. Our obsession then means we mine data in ways that positively impact customers and the experiences we create for them — which is flat-out fun. I know this is a long post but I thought the opinions expressed by a wide variety of marketing experts were very revealing and helpful. The take away for healthcare marketers is big data can be very useful. It does indeed help us sharpen our message and our delivery methods. But it’s not the golden egg or magic bullet. Instincts, experience, intuition, creativity, common sense and the ability to distinguish between data and meaningful, helpful data are very mush a part of a successful marketing effort. Valuable comments . I am thankful for the facts , Does someone know if my business might be able to find a template IRS 8109-B document to fill in ?